We would like to wish you a merry Christmas and a happy new year. 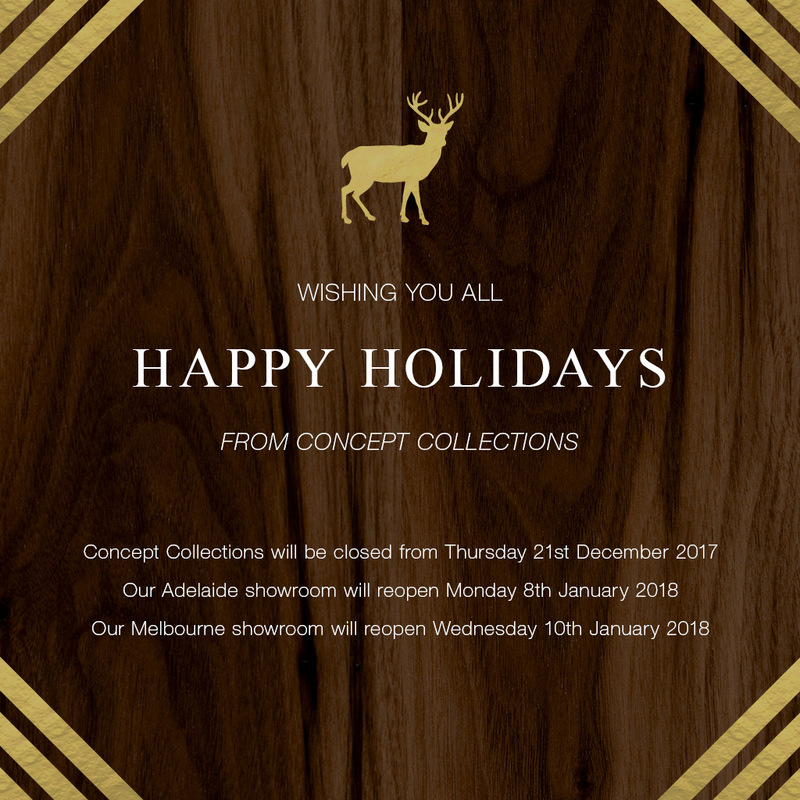 Concept Collections will be closed from Thursday 21st December 2017. Our Adelaide showroom will reopen Monday 8th January 2018. Our Melbourne showroom will reopen Wednesday 10th January 2018.